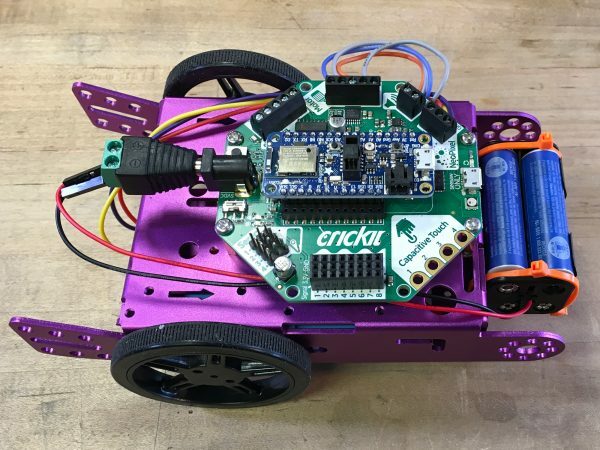 NEW GUIDE: CircuitPython BLE Crickit Rover @adafruit @johnedgarpark #adafruit #circuitpython « Adafruit Industries – Makers, hackers, artists, designers and engineers! New Guide in the Learn System! CircuitPython BLE Crickit Rover. It’s now easier than ever to build your own rover bot with Bluetooth Low Energy (BLE) control! Use the Adafruit Bluefruit app on an Android or iOS device to drive it and change the underlighting colors!